Vilnius. Jerusalem of the North. 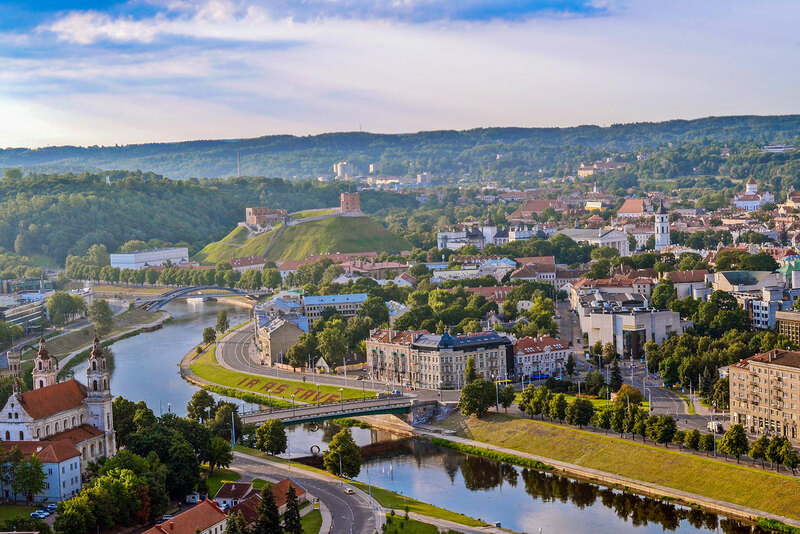 Vilnius is surrounded by lush green forests, hills and valleys, and has rivers winding right through the middle of the City. The City itself is full of beautiful parks and woods. There are two state-protected regional parks within the City limits, Pavilniai and Verkiai. Additionally, there are several landscape, geomorphological and lake parks, botanical gardens, natural monuments – mounds and outcrops. Right in the center of the City and in nearby areas there are the cozy and vibrant Vingio and Kalnu parks, which host many cultural events. 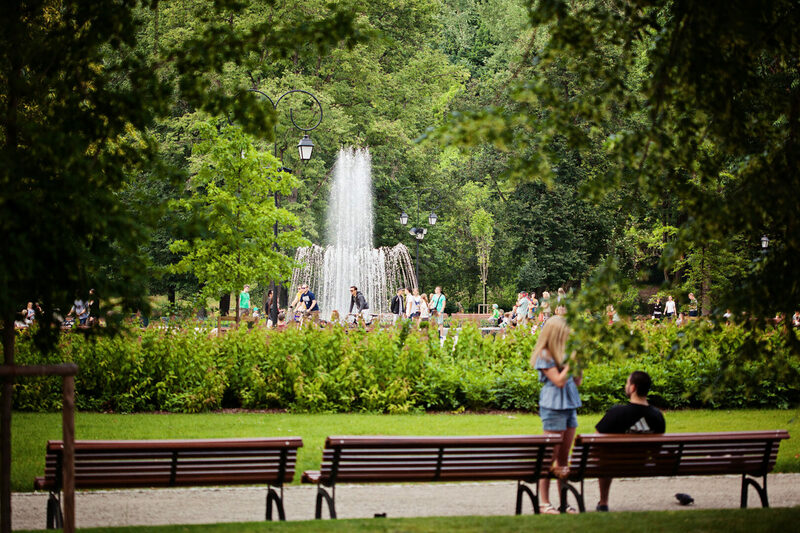 Bernardine Park and Vilnius University Botanical Gardens are more serene and offer the perfect setting to stretch your legs and feast on a midday lunch. Located right by the Neris and Vilnele Rivers there is a beautiful, bustling Old Town, which combines a heritage of many cultures. Old Town is full of great stories and legends, and to this day it remains essential, special and alive. It seems that the Vilnius Old Town itself is aware of its importance, proclaiming from one side of Neris: “I love you”; and responding from the other side of the river: “I love you as well”. Gediminas Castle Tower marks the place where the great grand dukes of old Lithuania once lived. Once upon a time, this castle was the crowning glory of the vast Grand Duchy of Lithuania, which dominated Europe. The castle was built by Grand Duke Gediminas, who, according to legend, had dreamt of an iron wolf whose call was so loud, it seemed like a thousand wolfs were howling. Mage Lizdeika explained to the Duke the meaning of this dream: at this place he must build a city, which will be famous around the world. At the beginning of the fourteenth century Duke Gediminas sent letters to the merchants, craftsmen and artists of Western Europe, inviting them to settle in Vilnius, the capital of Lithuania‘s Grand Duchy, promising favorable conditions for life and trade, along with freedom of religion and the ability to practice native traditions. In this way Vilnius became a melting pot of the world’s cultures, religions and arts. Fifteenth century Vilnius was the capital of the largest European state – the Grand Duchy of Lithuania – which stretched from the Baltic to the Black Sea. When the Kingdom of Poland and the Grand Duchy of Lithuania united, Vilnius remained one of the primary cities within the union, which later became known as the Lithuanian-Polish Commonwealth. The three-hundred-year union allowed Lithuania and Poland to defend itself from enemies, and linked the cultures and people’s lives, so that even today Lithuanians and Poles share architectural and cultural heritage. Today, the Lithuanian-Polish Commonwealth is regarded by some as a predecessor of the contemporary European Union. Writer and Nobel laureate Czeslaw Milosz (1911-2004) considered himself to be the last citizen of the historic union. Vilnius is the city of the poet‘s youth, of which he said he could never abandon. Czeslaw Milosz is memorialized in Vilnius with the street named after him and also by the stairs, which quote his works in Lithuanian and Polish. 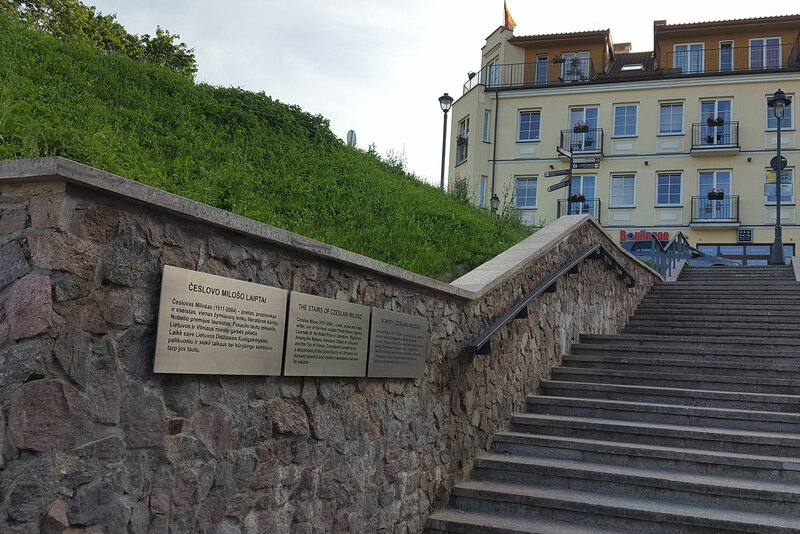 These stairs are a remembrance of his aim to foster the unity of the two peoples who lived in Vilnius – Lithuanians and Poles. Because of historical circumstances several nationalities: Lithuanians, Belarusians, Poles, Russians, Ukrainians and Jews became deeply rooted in Vilnius. To them all, Vilnius was a great destination with plenty of opportunities for fostering culture and prosperity. This multicultural heritage is evident throughout Vilnius and entire blocks of the Old Town. From the twelfth century Vilnius became home to Eastern Orthodox Christians – Ruthenians. To this day, in Vilnius there are many Orthodox churches. Near the Gate of Dawn, the famous Russian Orthodox Monastery and the Church of the Holy Spirit are located. This Church, in which holy martyrs, St. John, St. Anthony and St. Eustace are buried, is the main sanctuary of the Easter Orthodox Christians in Lithuania. The prominent Belarusian-born public figure Francis Skorina (1490-1541) established the first printing house of the Grand Duchy of Lithuania in Vilnius and printed books in the old Belarusian language. During the nineteenth and twentieth centuries Vilnius was a cultural center and a birthplace of the national movement of the Belarusian people. Today you can find a part of the Belarusian community at St. Bartholomew Church in Uzupis. 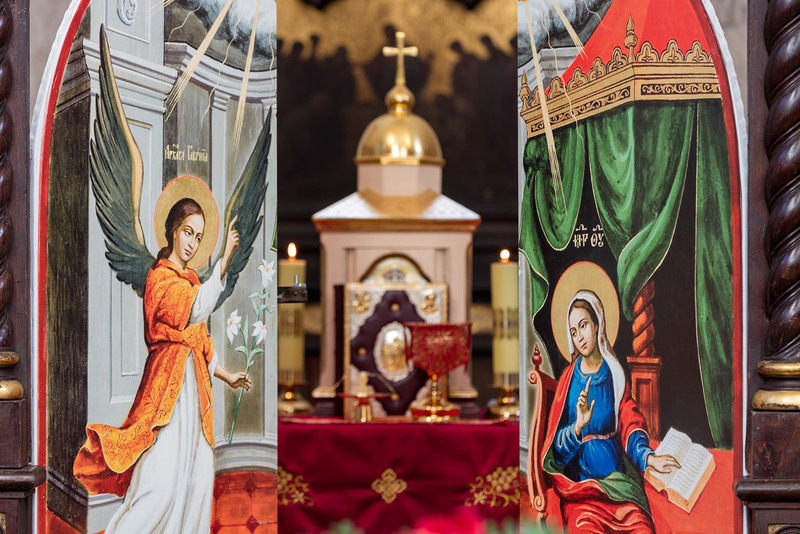 You can get acquainted with the Ukrainian community by visiting the Holy Trinity Catholic (Uniate) Church of Byzantine Rite on Sunday mornings or on any evening, where you can hear them sing Holy Mass liturgy. Uniates appeared in the Grand Duchy of Lithuania in the second half of the sixteenth century trying to bring the Christian Churches closer together. This was the origin of ecumenism. The Uniate Order of Saint Basil the Great was founded in the very heart of Vilnius on the initiative of Josaphat Kuntsevych. At the intersection of Bazilijonu, Arkliu and Visu Sventuju Streets you will discover the sculpture of Ukrainian literary classical poet Taras Shevchenko, who inspired their national movement. The poet regarded Vilnius as precious to his heart, because it is here where he flourished as an artist. During his great march to Russia, Napoleon stopped in Vilnius. The legend remains, that he wanted to take St. Anne‘s Church to Paris “in the palm of his hand”, but in reality, this and many other churches were turned into stables or used for other military purposes by Napoleon’s troops. After French failure in Russia, Vilnius also provided burial grounds for this great army. Some of Napoleon’s troops are buried in Antakalnis Cemetery. Today, among the French cultural sites in Vilnius are the French Institute, the French School “Montesquieu” and “Cafe Montmartre”. The Italian Institute of Culture in Vilnius fosters Italian culture and is located in the very heart of the Old Town. We‘ll let you in on a secret, in Vilnius Italian cuisine is one of the most popular choices among residents and tourists. The Jews of Vilnius made a significant contribution to the development of Judaism in the City. 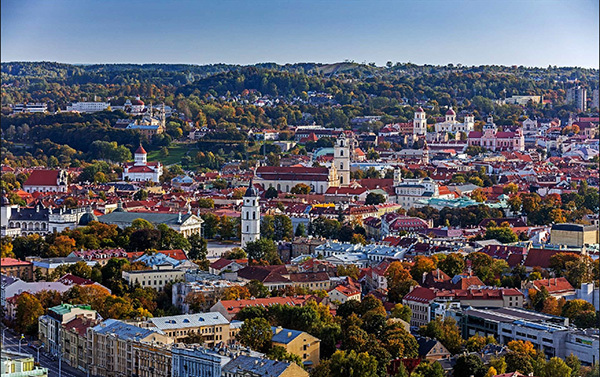 In fact, Vilnius was referred to as “Jerusalem of the North”. 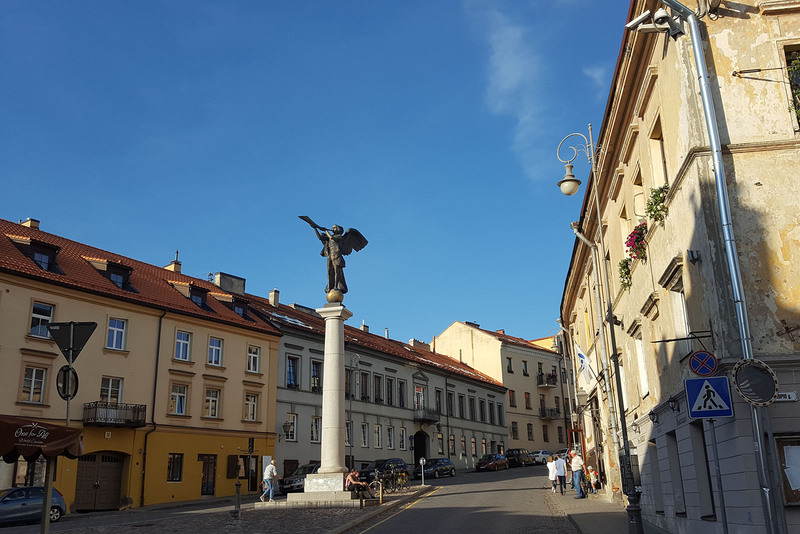 From the seventeenth century until the Second World War, many famous Jewish scientists, Rabbis, and even the most renowned Jewish scholar of the eighteenth century, Gaon Elijah, lived and worked in Vilnius. Due to Gaon Elijah’s immense contribution, Vilnius became the center of Jewish spirituality and a “cultural citadel”. At various times there were over 250 synagogues in Vilnius. Only one – Choral Vilnius Synagogue – has survived to this day. The Litvaks (Lithuanian Jews) were known for their inclination for education. There was even a saying coined, “for earnings go to Lodz, Warsaw or Odessa, but for wisdom go to Vilnius”. 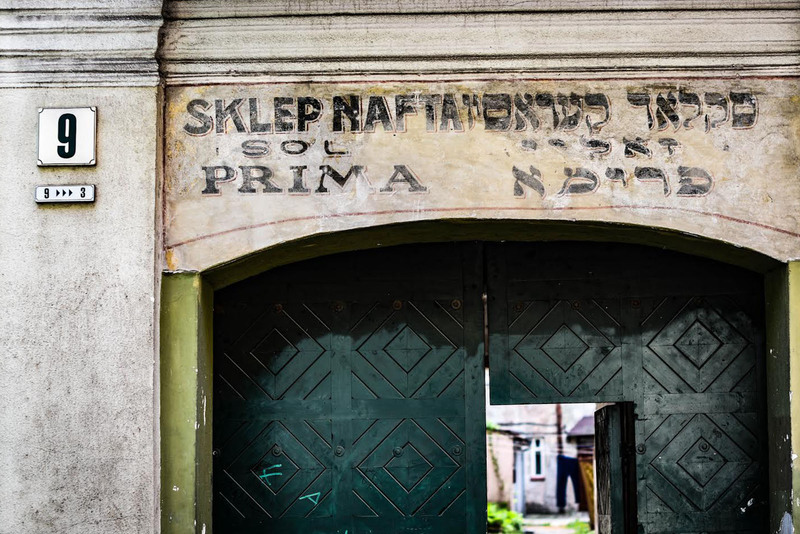 Scholarly predisposition of Litvaks led to the formation of a network of abundant Yeshivas, spiritual academies, which brought a Jewish intellectual community to Lithuania. Tragically, during the World War II years, the community was brutally suppressed in the Old Town’s ghettos, and its members were murdered in the vicinity of Vilnius. Although the Jewish culture was destroyed, evidence of its history in Vilnius is abundant. You just have to lift your eyes on the streets of the Old Town to notice the windows of the former synagogues, shop signs or the Star of David. Vilnius Jews have dispersed around the world. To name just a few: one of the world’s most famous cubists, Jacques Lipchic, painter Samuel Bac, poet Chaim Grady, philosopher Abraham Joshua Hesell. To learn more about Jewish culture and history in Vilnius, visit the National Jewish Gaon Museum. And if you‘re hungry, visit the Bagel Shop. During the Soviet era many of the cultural groups of Vilnius lost their identity. The monasteries were shut down, some of the churches were blown up or demolished, a large number of architectural masterpieces, essential to Vilnius heritage and spirit, were destroyed. However, despite Soviet attempts to suppress local culture, some artists found subtle ways to express their love of truth and resistance to the ideological lies. 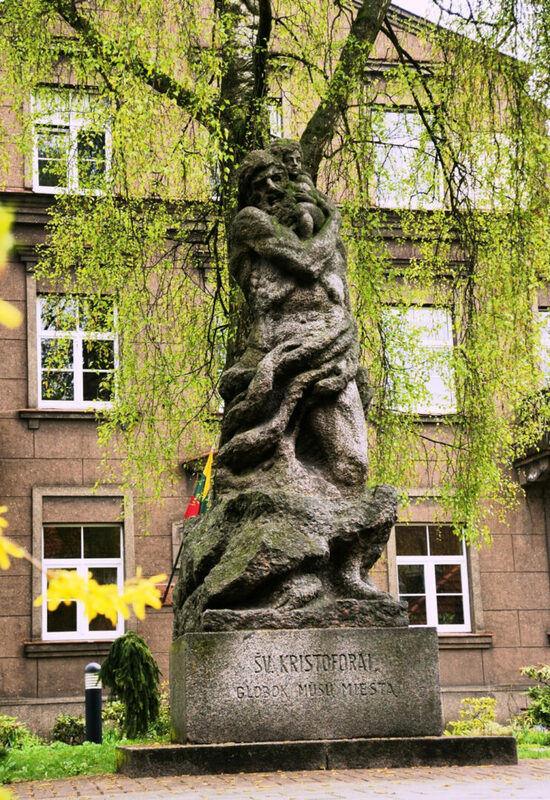 Prominent artist A. Kmieliauskas created the statue of Vilnius patron-saint Christopher, and as a result, was removed from the Union of Artists. Surprisingly, the sculpture itself was not destroyed, and today can be found in St. Nicholas‘s churchyard. Adam Mickiewicz’s monument also became such a witness to history, marking the start of the Lithuanian Independence Movement “Sajudis” rallies, which eventually resulted in Lithuania regaining its independence from the Soviets. The living history of Vilnius can be experienced in several ways, not only through exploration of its streets. At the foot of Gediminas Hill, near the confluence of Neris and Vilnis Rivers, the National Museum of Lithuania, the oldest museum in the country, is located. It is the largest national depository of Lithuania’s historical and cultural heritage. This museum has several sites: the New Arsenal (at Arsenalo St. 1), the Old Arsenal (at Arsenalo St. 3), the Gediminas Castle Tower (at Arsenalo St. 5), the Bastion of Vilnius City Defense Wall (at Boksto St. 20) and the Signatory House (at Pilies St. 26). To get a better sense of the Grand Duchy of Lithuania and of Lithuania’s patron-saint Casimir, a visit to Vilnius Cathedral and its crypts, with the remnants of old masonry shrine, fourteenth century fresco and the mausoleum of kings of Lithuania, is a must. At the Church Heritage Museum (located at Mykolo St. 9), you can see the impressive Vilnius Cathedral treasury, featuring works of both local and world renowned jewelers and goldsmiths. During the Soviet times, the treasury was hidden within the wall of the Cathedral, safeguarding it from being transported out of the country. There are many museums located right in Vilnius’ Old Town, including the Museum of Applied Arts and Design, the Vilnius Picture Gallery, Radvila Palace, the Bank of Lithuania Money Museum, the Vilnius Water Supply History Museum, the Amber Museum-Gallery, and the Toy Museum, as well as several others. There are also some memorial museums to famous people: the house of the composer and painter M. K. Ciurlionis (at Saviciaus St. 11); the museum-residence of the first librarians Marija and Jurgis Slapeliai (at Pilies St. 40); the museum-residence of the renowned artist Kazys Varnelis (at Didzioji St. 26); the Adam Mickiewicz Museum (at Bernardinu St. 11) and the museum-exposition “Konrado cele” (“Conrad‘s prison cell”), dedicated to this poet (located at Ausros Vartu St. 7A, a place where Adam Mickiewicz was imprisoned). The Museum of Genocide Victims, also known as the KGB Museum, although evoking memories of painfully tragic events, is truly unique. Visitors can learn how the Soviet Secret Service (KGB) operated, while paying their respects to the victims of this regime. Even though the atmosphere is chilling, it carries the message that truth triumphs in the end. Perhaps for this reason this museum is one of the most visited places in Vilnius. Near the Old Town you‘ll find the “Republic of Uzupis“, with its distinctive scents and atmosphere. Tourists from far away places can actually receive a visa for their passports from this “republic”. In Uzupis, one might think that he is actually in a different country, functioning under its own set of rules. It seems that Uzupis’ walls and gateways have a certain kind of humor: this formerly poor neighborhood with a functioning brothel quarter and a very poor reputation for security, is now one of the most prestigious and expensive neighborhoods in the City; what was formerly known as “Death Street”, is now guarded by Uzupis’ symbol – the sculpture of Angel with a trumpet announcing the great life of this neighborhood. Part of Užupis is filled with scents of gourmet bakeries, another part, of thick tobacco, wine and beer. In the mornings the bakeries tempt passersby to taste fresh rolls and pastries, in the evenings tobacco smells lure visitors to its galleries and arts incubators, renowned for constantly breaking all stereotypes. On the other side of the Old Town, along the River Neris, you can take a leisurely stroll across Zverynas Bridge where you’ll see the contemporary skyscrapers and business centers rising on the Vilnius skyline. Eventually, you reach an oasis of gardens and pine trees, thoroughly populated by old colorful cottages, decorated with unique wooden carvings. The name of this residential neighborhood is Zverynas (Eng. : “Menagerie”), which in fact was once a hunting ground for nobles from the Radvila family. Later, mineral water treatment facilities were established here, with trams and trains shuttling passengers back and forth. Today, Zverynas stands out in the landscape of the City because of Our Lady of the Sign Eastern Orthodox Church, its moss covered “Kenesa” (synagogue), which is a place of worship of the Karaites, and because of its incredibly orderly architectural arrangement. Some, looking at Zverynas from a bird’s eye view, claim to distinguish various regular shapes and symbols. One of the oldest neighborhoods of Vilnius is Antakalnis, a former location of noblemen’s residences. The impressive Sapieha (Lith. : Sapiega) Palace reminds visitors today of the neighborhood’s former glory. Visitors of this area are welcomed by the Sts. Apostles Peter and Paul Church, referred to as a Baroque architectural pearl. Other prominent celebrities of this part of the City are the former Holy Trinity Church (today the Monastery of the Community of St. John), the cottage of Saint Faustina and the Sapieha Forest. In the beautiful city park, near the Community of St. John Monastery, the modern Vilnius Tech Park is located. Today, it is the largest startups location in the Baltic States. In Antakalnis Cemetery lies an entire history of Vilnius, world’s nations and various religions. The most prominent Lithuanian artists, public figures, politicians and freedom fighters, along with Napoleon’s army soldiers, Muslims, Jews, believers and those who persecuted them are laid at rest here. Glass-blowers, shoemakers and prominent goldsmiths of old Vilnius have been replaced by high-tech scientists today. Vilnius is home to many international business offices, with the most advanced laser and medical equipment factories surrounding the City. Vilnius is renewed every autumn, when its universities welcome new students: prospective physicians, lawyers, architects, journalists, physicists and philosophers, historians and mathematicians, photographers and designers. Possibly, since Lithuania has the fastest internet in the world, the field of information technology is extremely popular. Because of the abundance of highly qualified specialists, companies from around the world have established their offices in Vilnius. The City’s Tech Park is the largest site of technology startups in the Baltic States. For today’s traveler interested in modern architecture, we recommend visiting the Vilnius University Life Sciences Center and the Scholarly Information and Communication Center in Sauletekis. 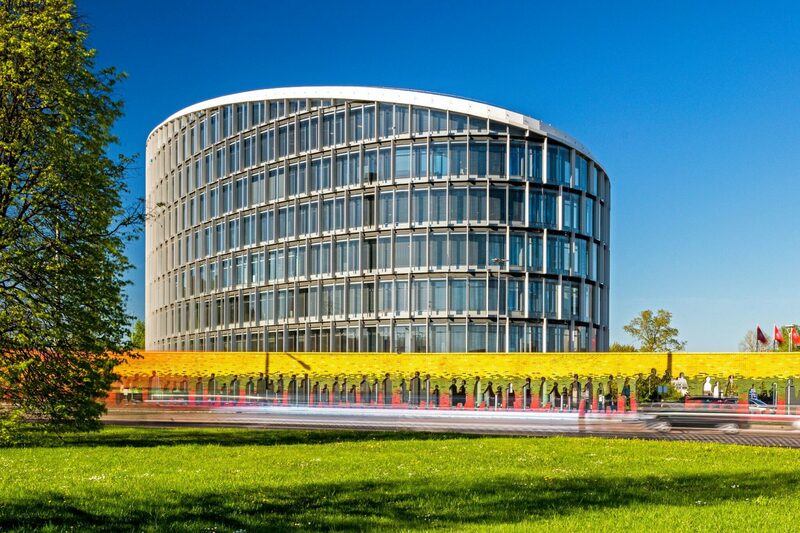 Also impressively large and environmentally friendly office building “Quadrum” ensemble is designed in accordance with the latest architectural trends. Looking around, it is evident that Vilnius is truly a trendy City. One might say, that designer fashions and jewelry are in competition with the City’s high tech industry. We ask you to judge for yourselves who the winner is, after a shopping stroll on Stikliu, Sv. Stepono and Sv. Mikalojaus Streets. Vilnius is a very welcoming City. On one hand, it is very spacious, where everyone finds enough room to feel comfortable, while on the other hand, it is also compact, so no one feels too far from one another. Vilnius is dynamic but also tranquil: even at the busiest times of the day, when Vilnius appears packed and rushing, it is never chaotic. The traffic rules are generally obeyed, people on windy sidewalks pass each other slowly and politely, but usually silently. On weekend mornings Vilnius is completely still. That is the best time to take a leisurely stroll to admire the winding streets of the Old Town, stop for a minute to appreciate beautiful squares and gateways, and to enjoy coffee in tiny Old Town cafes. Later, when the City streets awaken and prepare for another busy day, it is time to shop for fabulous Lithuanian designer clothes, found at numerous boutiques. 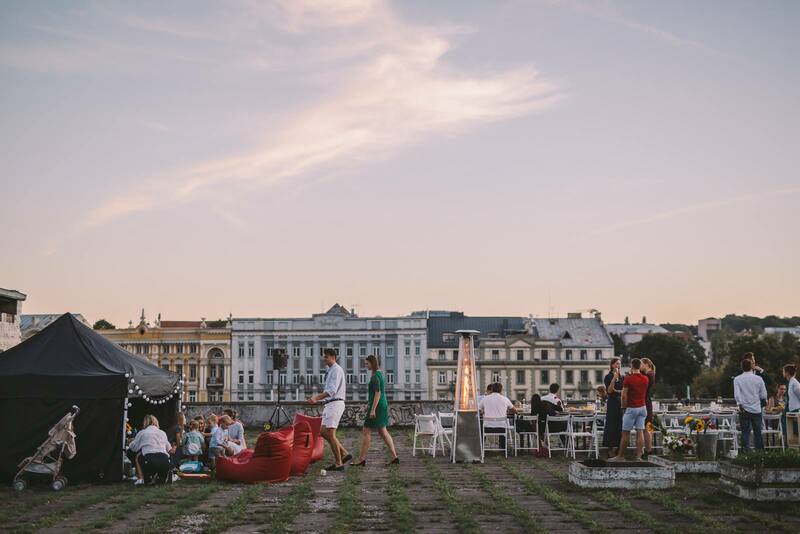 In the evenings, it is fun to watch Vilnius residents – beautiful and subtle people – spend their time at restaurants and cafes with their families and cozy circles of friends. © 2019 City of Mercy.